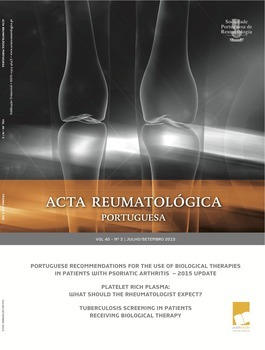 Platelet Rich Plasma: What should the rheumatologist expect? Epidemiology of hip fractures and its social and economic impact. An update for 2014. Relationships between widespread pain and thresholds pain tolerance on tender points in Portuguese women with fibromyalgia: impact on daily life. Köhler disease: an infrequent or underdiagnosed cause of child’s limping? Chronic hyponatremia: a new risk factor for fragility fractures in the elderly?